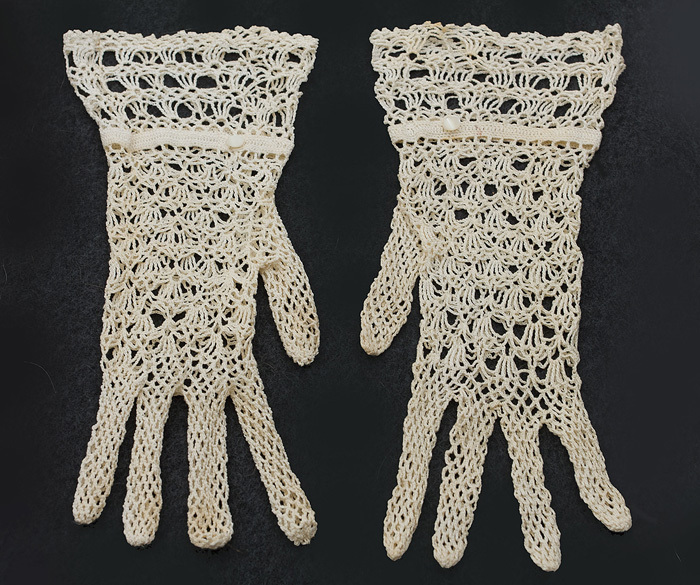 These charming gloves were hand crocheted from ecru cotton yarn. The sweet, simple pattern is accented with a tiny mother-of-pearl button on each wrist band. The condition is excellent. The gloves look like they were never worn. 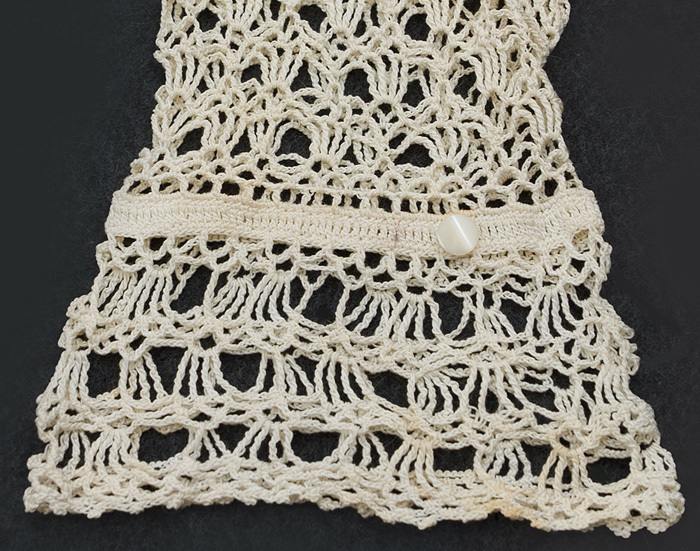 The lace stretches to fit a variety of sizes.